Create a Faucet List for Bitcoin, Litecoin, Dogecoin, Blackcoin, Dash, Peercoin and Primecoin! Display the top faucets from multiple cryptocurrencies. 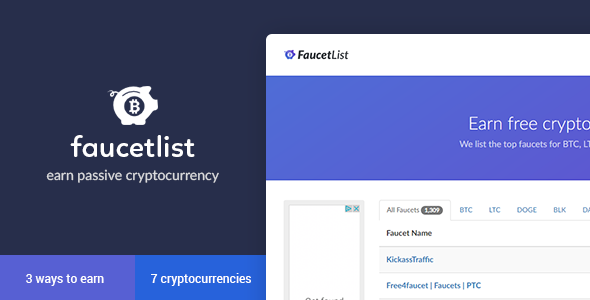 Owning a faucet list is a great way to earn Cryptocurrency passively.